This article is going to highlight some striking features of both Magento and WooCommerce platform. Read on to know which platform suits your business the best! Every web development platform has their own group of followers championing its cause along with claiming it’s the best! This article is going to wade through this noise and going to give you an unbiased opinion so that you can choose the most feasible one depending on your business’s requirements. In this article, you will get a comparative study on Magento vs WooCommerce – their performance, key features, beginner-friendliness, security, and even the product management. Once you finish your read, you’ll know exactly which web development platform is the right solution for you. Magento is such an e-commerce development platform that is tailored to web development professionals. Starting from medium-sized online stores to large online stores – you can build everything. Also, this platform offers one of the most robust feature sets in the field that makes it the perfect choice for the stores with higher aspirations. Magento is much more than just a community solution, it is more geared towards companies. Well, this does not necessarily mean that small-sized businesses cannot get any benefit from using it! It not only offers an Enterprise Edition but also offers a Community Edition. The Enterprise Edition is mostly dedicated to big companies. On the other hand, the small business owners can opt for the Community Edition, which is available for free. Here is a quick sneak peek to some of the key features offered by Magento. It supports you to add an unlimited number of products. Comes with its own layout and theming system. Offers intuitive product creation tools and admin interfaces. Includes efficient APIs, which can connect with any other third-party solution. Let’s take a look at the Pros of using Magento! It offers such a streamlined process that the customers can check out much faster. Also, by default, the guest checkout is turned on. Scalability is one of the main features offered by this platform. This scalability makes sure that you can handle a large online store effortlessly. 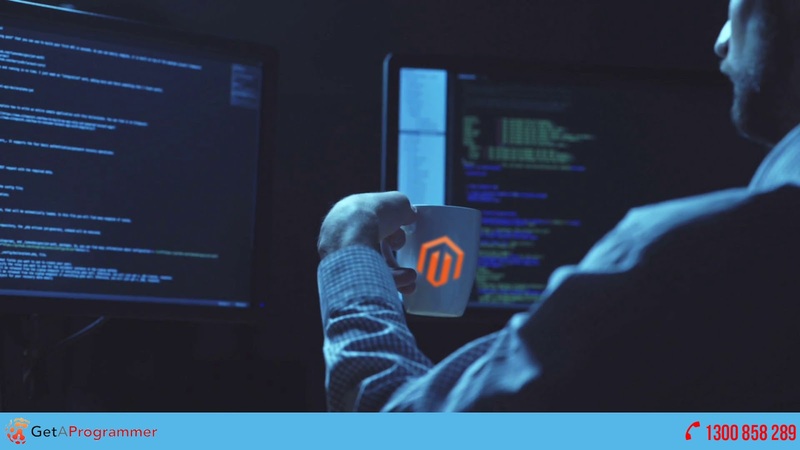 Well, if you don’t have any prior knowledge on coding or PHP language, you might find it a bit difficult to learn Magento as this platform is more geared towards the Magento experts. Most of the WordPress users are well-aware of WooCommerce. According to the market analysis, this immensely popular eCommerce platform is home to over 400,000 websites. It is nothing but a powerful plugin for the WordPress web development platform. The most fascinating fact about this platform is it offers all type of features, which you usually need from an e-commerce solution along with retaining the ease-of-use of its parent platform i.e. WordPress. More interestingly, you can enhance the store’s functionality by integrating various extensions. Here are some glimpses of its top features. WooCommerce supports an unlimited number of products. It offers dozens of free and premium themes. Want any specific payment processor to use? Well, you can do that easily using extensions. Based on the WordPress plugin format, it comes with a dynamic and robust extension system. Let’s take a look at the Pros of using WooCommerce! Aside from the web hosting expenses, the store set up is absolutely free. With the help of an extension, it easily integrates with the Google Analytics. For the users, extensive documentation is available. If you have any prior knowledge of WordPress, learning WooCommerce becomes absolutely easy. Even if you do not have any prior experience with any eCommerce platform, you will not face many difficulties in learning WooCommerce. Also, the extensive documentation is very helpful. Time to talk about Performance! Website loading time is definitely a big factor to be a pioneer in the eCommerce landscape. No one bothers to wait forever to load your website! This performance factor obviously depends on many other aspects like CDN, chosen web hosting provider etc. Hence, it is easily understandable that the performance factor mostly depends on you and the hosting provider you choose! So, you can consider this round as a tie between both the platforms. Online shopping, online stores -everything is closely related to the security factor! Any online shopper will expect both his or her payment details and private information to be protected! And, you are supposed to meet this expectation. Both Magento and WooCommerce allow you to integrate several enhanced and improved security measures. However, most of these security measures are available through some manual tweaks and extensions. Well, it is true that no platform can be 100% secure but while talking about Magento vs WooCommerce, Magento is definitely a winner in this aspect. Why? Well, Magento offers dedicated security patches to the users. However, if you are an eCommerce newbie, handling these Magento security patches may seem a bit difficult for you. Still, if you are serious about security, opt for Magento! Well, getting straight to the point, if you are looking for some basic features without flaunting some killer functionalities, opting for WooCommerce will be a good decision. On the other hand, Magento offers several such features, which are not available in WooCommerce until you buy the additional extensions. Product Reviews, wish lists, product personalisation, advanced pricing rules, grouped items etc. are some remarkable features offered by Magento. These features make the product management much easier. However, the learning curve becomes steeper! So, who is the winner? Well, comparing and declaring a winner like this is definitely not an easy task! Still, it is being suggested if you are planning for an online business startup, where the learning curve is easier along with the option of cheaper setup cost, WooCommerce is the winner! Otherwise, if you are concerned about scalability and ready to spend some money, without any second thought, opt for Magento and you will get wonders as results! If your existing company is thinking about moving in the eCommerce landscape, Magento will be the clear winner! Johan Smith is a professional Magento developer in Australia and presently working with one of the trusted Sydney-based Magento development company GetAProgrammer and leading a dedicated team of best Magento experts in Australia. To get more updates, information and news, you can visit the official website of GetAProgrammer and follow the LinkedIn page as well. GetAProgrammer is a premier manpower outsourcing company headquartered out of Sydney, Australia and having branch offices in US, UK. We have local development centres as well as our main development centre based in India. Love this post! Thank you for sharing us the comparative study on Magento vs WooCommerce including their performance, features, security and product management. Each of this platform has its pros and cons. What’s important is you’ll be able find the right solution for your business.